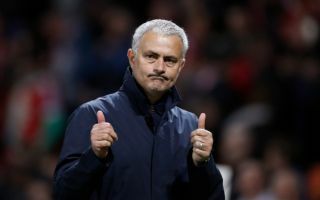 Despite having a whole host of attacking options at his disposal, Man Utd boss Jose Mourinho has been linked with bolstering that area of his squad further. The Portuguese tactician can already call upon Alexis Sanchez, Marcus Rashford, Anthony Martial, Jesse Lingard and Juan Mata to play behind frontman Romelu Lukaku, which would suggest that they have plenty of quality and depth available. However, according to The Express, the Red Devils are being tipped to move for Chelsea winger Willian, who reportedly saw a £50m bid from Barcelona rejected earlier this week. The 29-year-old enjoyed an impressive campaign last year, scoring 13 goals and providing 12 assists in 55 appearances, despite not always being a starter for Antonio Conte. He hasn’t quite managed to have the same level of impact at the World Cup for Brazil so far this summer, but based on this report, he’s done more than enough to convince both Barcelona and Man Utd to be interested, with Mourinho of course knowing him well from his previous stint at Chelsea. Willian does potentially bring a different dynamic to any attacking unit he’s part of, but given the pace and direct running of Martial and Rashford, who are also significantly younger and have much more room for further development, a swoop for the Brazilian ace does seem a bit questionable. The same could be said for Barcelona with Ernesto Valverde already having to juggle Lionel Messi, Luis Suarez, Ousmane Dembele and Philippe Coutinho in the attacking third, and so it remains to be seen whether or not a move for Willian materialises for either. If anything, the winger could stunt the progress of the younger players in both squads, which potentially outweighs the logic behind searching for an immediate impact.